Tim’s Home Medical Supplies Offers a Full Iine of Home Medical Equipment in Our Store Located in Bremerton, Wa. 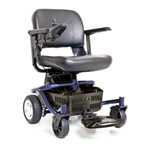 Tim’s Home Medical Supplies is proud to offer home medical equipment for a variety of daily living needs. Our goal is to help you maintain your independence by offering you equipment that you can use safely in the comfort of your own home. Please feel free to browse our featured products below to view some of the medical equipment we offer, visit our showroom, or check out our online catalog for our complete line of home medical equipment. You can view some of our featured products by browsing below. Locally owned and family operated, Tim’s Home Medical Supplies is your one-stop-shop for all your home medical equipment needs. With our convenient location in Bremerton, we are proud to offer our home medical supply services in Kitsap, Mason, Jefferson, Clallam, and Pierce counties. Along with our full line of home medical equipment, we also strive to always exceed our customer’s expectations by offering incredible customer service, accounts receivable and billing services, FREE home medical equipment delivery, and instruction on how to safely use the equipment.